Uvo Luxury designs high quality products for stylish, professional women who want unique, functional handbags and accessories that blend fashion and technology. Their latest creation, the ‘Lisa Handbag’ was designed by Gigi Karmous Edwards in collaboration with Lisa Vanderpump of Bravo TV’s “Real Housewives of Beverly Hills“. With her engineering and research scientific background, Gigi creates accessories that are cutting-edge creations turned into art. The ‘Lisa Handbag‘ is the perfect example of a beautifully designed bag that meets the needs and demands of today’s successful, modern woman. 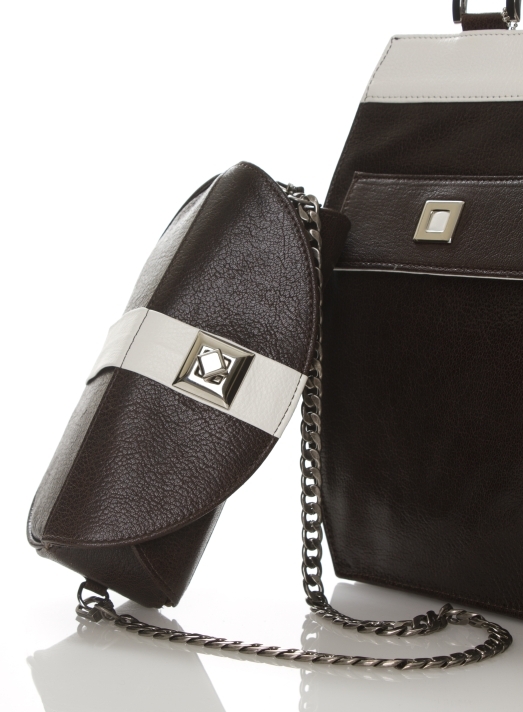 Made of white or brown leather, the bag features an advanced finish/treatment called “crypton,” which is the first type of cleanable & stain-resistant leathers. Additional details include Swarovski crystals, pink suede, and a custom-designed linen fabric lining with protective coating for easy cleanup. Other features include a concealed tablet compartment with a crystallized padlock, two front pockets along with pockets for both sunglasses and reading glasses, and a detachable makeup bag that can be used as an evening clutch. 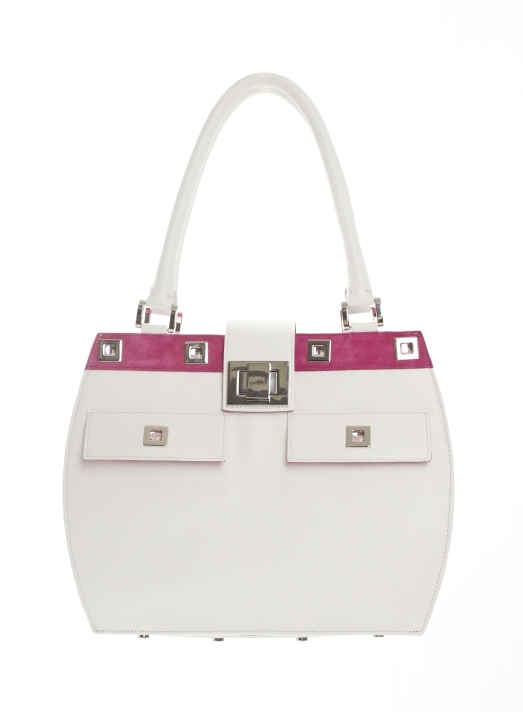 The ‘Lisa Handbag’ certainly reflects the Beverly Hills Housewife’s exquisite taste that we have grown to love. 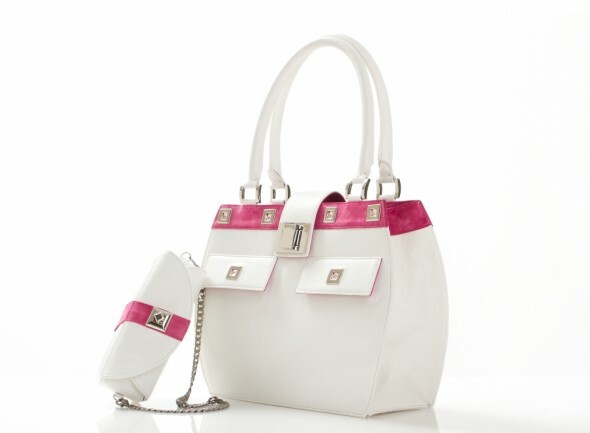 Buy the Lisa Bag for $2,300 at uvodesigns.com.